Brad Oberhofer is on a roll. Recently signed with Glassnote Records, Oberhofer will be releasing their debut album in the early months of next year. While we wait for that, he just premiered on Pitchfork the single “Gotta Go,” which will be released through White Iris and will come out physically on October 4th. You can get “Gotta Go” HERE. On top of that, the band will be joining Les Savy Fav on stage on September 6th at the Music Hall Of Williamsburg in New York after a year touring with bands like Twin Sister, Sleigh Bells, Neon Indian and Bear In Heaven. Needless to say, the Tacoma native has the indie music scene at his feet. Wild Nothing is the project of Jack Tatum, whose fascination lies with the mixed feelings of nostalgia and regret, which he turns into dreamy pop songs. 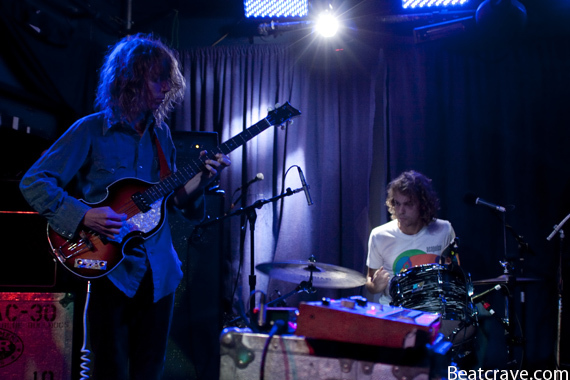 The band has booked a series of summer tours with Twin Sister, including a stop at the Pitchfork Music Festival. Tatum released his first full-length Gemini on Captured Tracks last spring and the album drew raves from the likes of SPIN and Pitchfork. It showcased Wild Nothing’s fascination with the concept of having loved and lost. Exciting new additions have been made to the 2011 Northside Festival: Wavves and Guided By Voices! These bands are joining the previously announced Beirut, Deervana (Deer Tick), Twin Sister and others! Guided By Voices will headline the McCarren Park Stage on June 18th and Wavves is set to be the supporting act. Tickets are $30 in advance and $35 at the door and can be bought here: http://www.ticketfly.com/org/365. 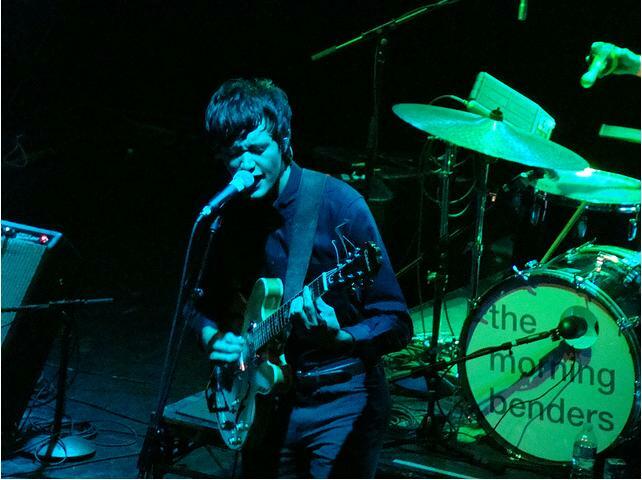 The Morning Benders are a band I first encountered at The Market Place Hotel (R.I.P.) in Brooklyn supporting Surfer Blood (also that evening playing alongside bands such as Grooms, Turbo Fruits, and Beach Fossils) and I’ll admit at first I wasn’t impressed, but there was a certain charm their stage presence put out that has stuck with me. The band not only seemed incredibly young but ripe for the journey most aspiring musicians cannot even comprehend, fast forward to where we are today, the bands sophomore record Big Echo is destined to make many top 10 list, they have already supported Ra Ra Riot, White Rabbits, MGMT, Yeasayer, and The Black Keys, and after all of that the band have set out on their first headlining tour. Not bad for the four little guys who played Market Hotel earlier this year. The bands performance really surprised me. Its unbelievable how much a band can change in the span of a year but The Morning Benders make it a feat to show that they’ve been doing nothing but learning. Chris Chu fronts the band with a relaxed talent but isn’t afraid to get into his tunes, while his brother Jon Chu backs him up with a rhythm guitar which could be named precision. After the third track Chris Chu proclaimed “Earlier this year we released an album called Big Echo! We’re going to play a lot of tracks from it to thank all of you for the year we had!” I was lucky enough to capture their show at Webster Hall (along with photos of opening act Twin Sister). Photos from the show can be viewed here.